A hut shaped hot tub gazebo set on a lush, verdant background is an irreplaceable shed in your home. 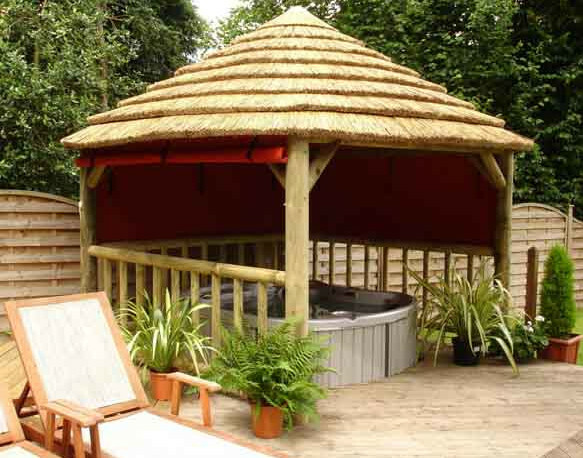 A simple thatched wooden structure, the hot tub gazebo is secured with a matching wooden fence and beautifully decorated with plants in red pots. Some white sunbathing beds are placed nearby to complete the elegance.